You are already well aware of the benefits of plants for enhancing your corporate image, improving indoor air quality, and improving the productivity and well being of workers in your company. 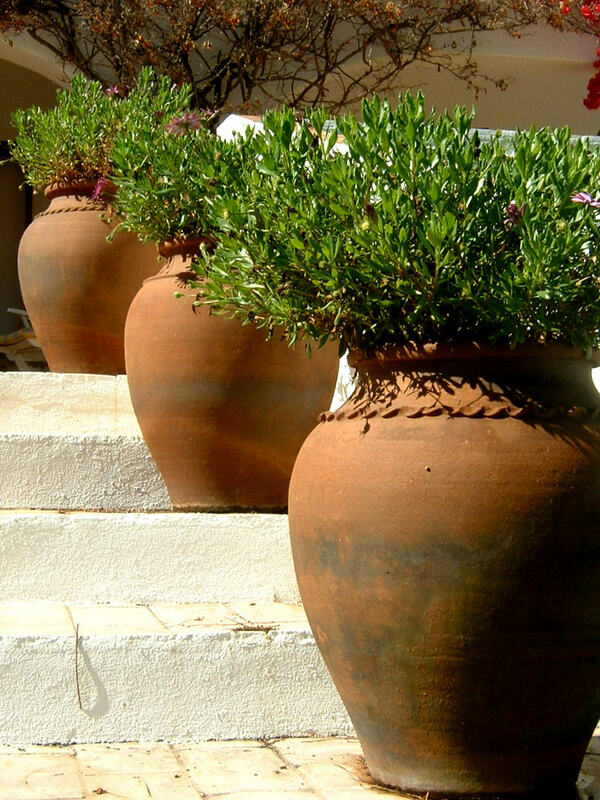 Did you know, however, that the selection of planters and pots for your installation is equally important? Just as one complements a well tailored suit with a smart tie or an evening dress with fine jewelry to complete a look, companies are learning the benefits of selecting stylish containers for their office plants to enhance their image. The right planters and pots look just as striking empty as they do potted, and are sure to turn heads. Planters are part of an entire design package, that together with the plants they contain, achieve cohesive and luxurious interiors. Stylish planters are an investment in your company. 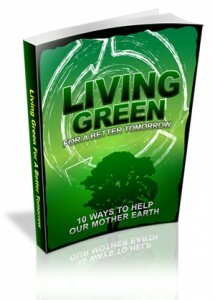 They enhance the design of your interior space and even enhance the look and health of the plants they hold. Growing Expectations offers a wide variety of containers which complement any interior space and corporate image. We offer both modern and traditional planters in a variety of colors and materials. We can also work with your company to update your planters to better suit a new corporate branding or to modernize your interior. Whether you are looking for pots and planters for a new installation or to update an old one, our interior plantscaping experts will work together with you to help identify your unique needs and to help you select planters and containers that suit your interior space and company style. The first consideration, when selecting planters, is what variety of plant will be used and where the plants will be installed. Planters are available in a wide variety of shapes and sizes. Some planters are designed specifically for counters and conference tables, while others hang in a window, or can stand on the floor. The manner in which planters are grouped also has a powerful impact on the look of the installation. Our interior plantscapers will be able to help you make informed decisions on the types of planters that will best suit your design needs. Another major consideration when selecting containers is the material of the planters. 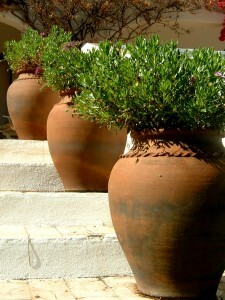 Plants and pots can be selected to create a contemporary, chic look, a traditional interior, or an understated elegance. Tall, angular, glossy resin planters and aluminum pots paired with the appropriate foliage creates a striking architectural, modern interior while traditional round pots create a more neutral look. Whatever style you choose, you can be confident that the right combination of plants and planters will complement your interior space, enhance your corporate image, and make your company more attractive to employees and prospective clients. The next time you visit an office, hospital, or shopping mall, look at the plants and pots around you and think about what they say about the company. What do you want your planters and plants to say about your company? For more information on plants and containers that will compliment your office space, or to inquire about a free consultation for plants and planters in your facility just email us at info@interiorofficeplants.com.